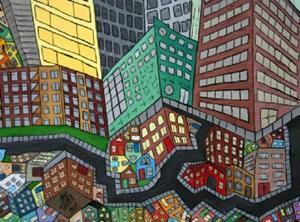 Twisted Urban Life is an emotional cityscape as well as a figurative one. 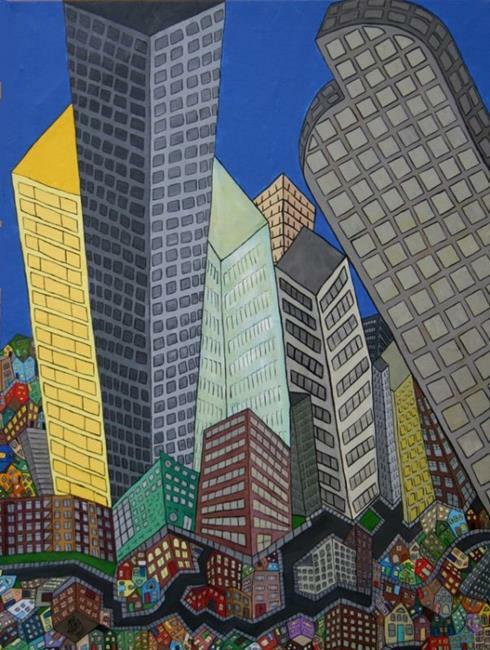 The image is the impression of my downtown, the life of my city, experienced by combining the views of various central neighborhoods into a single image. The composition combines these perspectives and offers a view of the city from a multitude of points, rather than just a single location. As the composition developed, the neighborhood views were incorporated and integrated together. 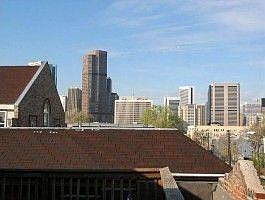 These sites included Platte Park, Curtis Park, City Park, and Five Points. I sought to depict the experience of the city in the round. 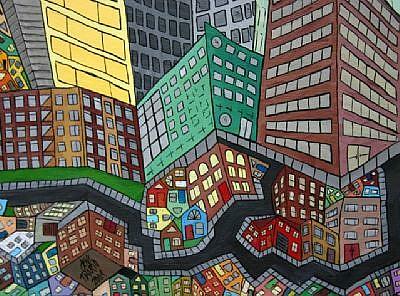 Although the composition is made up of these abstracted views, it is very recognizable as Denver. The piece was completed over the course of several sessions and was completed in May 2004. The piece was displayed (sold) at The City Park Festival of the Arts, May 2004. 36" x 48" x .75"